Innovator Enterprise Management software inspires, manages, and protects management system. Innovator Express: This on-demand application is pre-configured with best practices templates and enables you to get up and running quickly. When customized with an organization's "look and feel", it uses zero-learning interface to eliminate training issues. Innovator Professional: Start with best practices, and then customize to enable multiple processes, international rollouts, organization-specific forms, intellectual property management, and complex workflows. Enable different zero-learning web portals to facilitate capture for different countries, business units, or processes. MindMatters' detailed standards-based deployment procedures ensure that every aspect of the installation go smoothly, is delivered on-time and within budget. As the Innovator is deployed to an organization, the cultural, training, and people-elements come heavily into play. Efficient training, identification of business challenges, and recognition and incentive programs drive higher performance and lead to superior results. 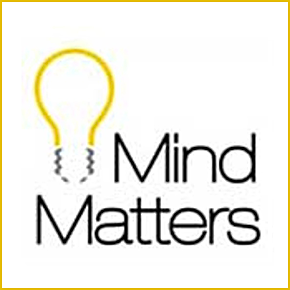 MindMatters offers several training programs to satisfy basic needs and allow Innovator to be used to maximum efficiency.